Residents may have noticed some interesting works being carried out on the green adjacent to St Neots Rowing Club recently. 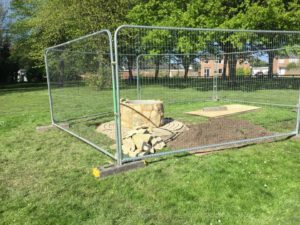 St Neots Town Council is currently in the process of installing a memorial to Saint Anselm, the first Archbishop of Canterbury who visited the former Medieval Priory of St Neots. 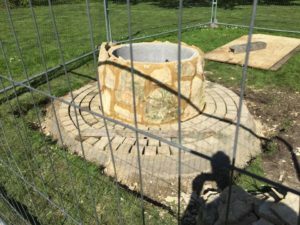 Stones which derived from the Lost Priory of St Neots were salvaged from the Eaton Socon Lidl site and are being incorporated within the memorial design, which echoes an early Medieval well. When finished the new memorial will form part of the St Neots Heritage Trail; information boards will be installed next to the memorial telling the story of St Anselm and how he came to be associated with St Neots.